Brooke McNamara’s hands shook the first time she pumped a blood pressure cuff around a real patient’s arm. Her voice trembled when she talked. She felt compelled to double-check every assessment and every treatment. 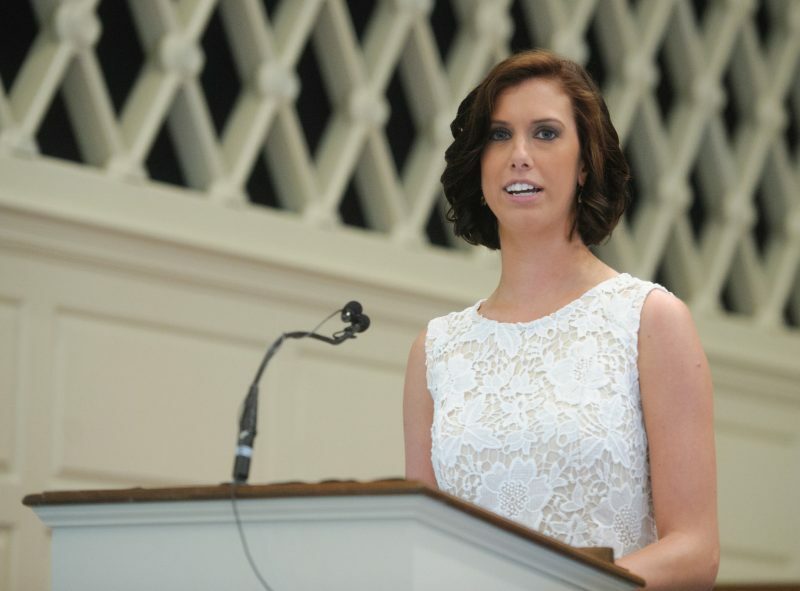 Brooke McNamara ’17 PA recently spoke during the white coat ceremony celebrating the achievements of the PA Medicine students. But now, confidence has replaced fear. Her confidence has nothing to do with feeling like she has all the answers, though, said Brooke, a recent graduate from University of Lynchburg’s physician assistant medicine program. “I became confident in my learning abilities and OK with the idea of always learning,” she said. Speaking of always learning, today Brooke is one of nearly 90 students engaged in Lynchburg’s new Doctor of Medical Science program — only the second doctoral-level program for PAs in the country. The new degree will help Brooke and other PAs not only serve patients, but also to be leaders in the health professions. “As health care changes, the doctorate puts the PA in a position to adapt and change with the needs of the health care market,” said Dr. Jeremy Welsh, director of the program and associate dean of the School of Graduate Health Sciences. About 115,000 PAs practice medicine in the United States today, and the profession will play a critical role in providing quality, cost-effective health care in the future. The DMSc gives PAs an intensive clinical experience in the specialty they desire as well as education in executive leadership, research, health care law, and global health. The program will prepare PAs to provide leadership in improving the way care is delivered. “It doesn’t matter what community they serve, the health care they provide is going to be really top quality,” Dr. Welsh said. The DMSc will also equip students to find solutions within the changing landscape of health care, allowing PAs to help meet the needs of patients and society as a whole. Beth is one of about 70 distance students enrolled in the doctoral program. She looks forward to learning about global health and disaster medicine and applying those lessons in the volunteer medical trips she organizes as president of The Heart of Medicine. She said that completing research for the doctorate will help her and other students have an immediate impact, too. “The Lynchburg DMSc program has not only met my expectations but exceeded them,” Beth said. 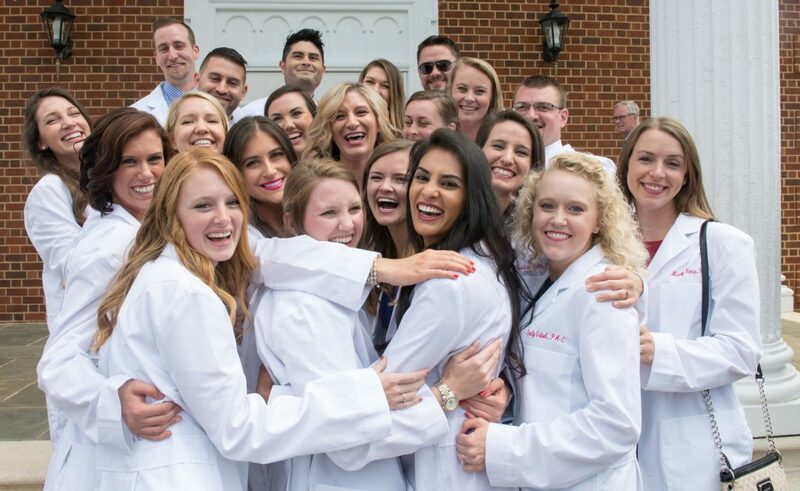 University of Lynchburgs first PA Medicine students received their long white coats in August 2017 after completing their program. Many are now continuing their education in the doctoral program. Lynchburg launched its master’s degree program in PA Medicine in 2015 with 25 students. The first class graduated this year, and most members of the class enrolled in the DMSc program. The master’s degree program now has 59 students, including 30 in the class that began its studies this summer, representing 10 different states. The DMSc program is the College’s third doctoral program, joining the Doctor of Physical Therapy and the Doctor of Education in Leadership Studies. In 2018, University of Lynchburg will change its name to University of Lynchburg, reflecting its ongoing commitment to a broad range of undergraduate programs in the liberal arts and sciences and a growing list of professional graduate degrees.